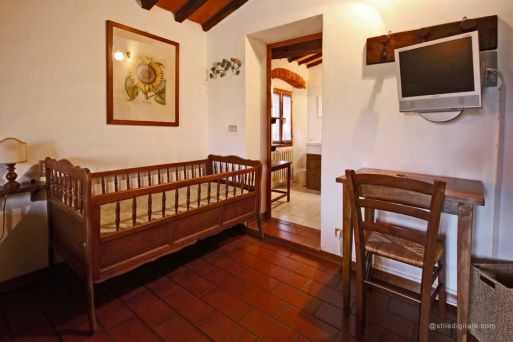 Large room made of a double bed and two single beds for a room surface of almost 29mq, suitable for families or groups of friends who are seeking a comfortable and big location, with the opportunity to add a baby cot for kids up to 3 years old. 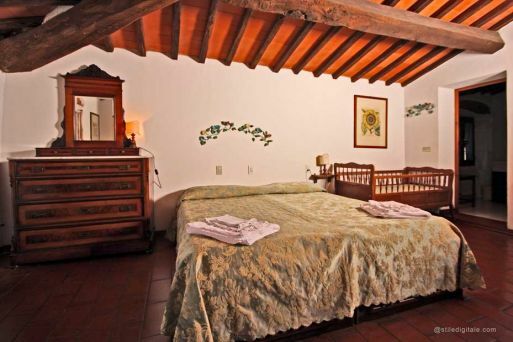 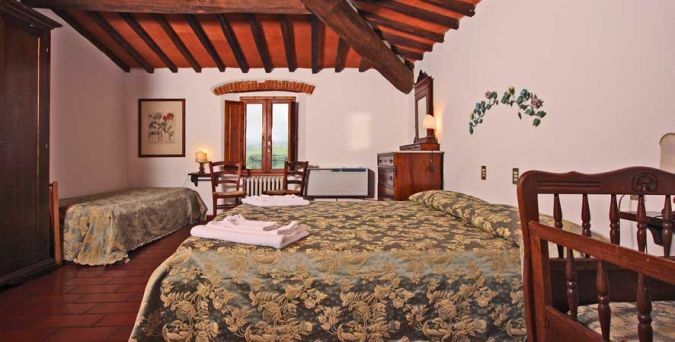 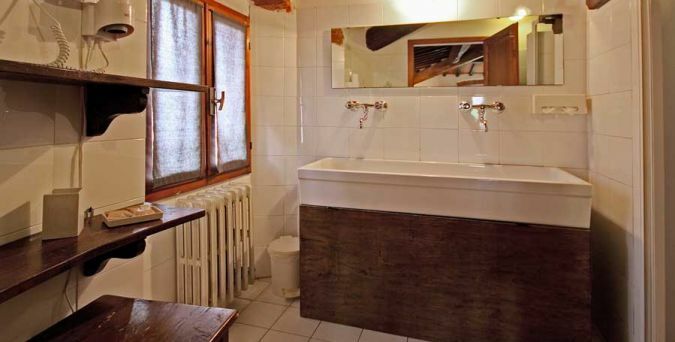 The Quadruple Family room is at the second floor of our building, with a breathtaking view on the "Castellano Tower" and on the Valdarno hills. 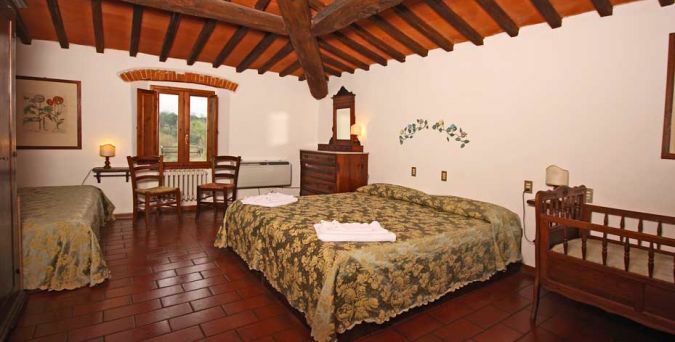 Furnished with traditional taste from Tuscan Arte Povera, the room is characterized by Florentine terracotta tiles floors, ceilings with wood beams, wrought iron headboards, consolle with mini fridge and water boiler, Air Conditioning/heating, Free WIFI, 36" Led TV, lockbox, private bathroom with double wash bin, shower, toilet hair dryer and bidet.